Welcome to Edinburgh City Bathrooms your first choice Bathroom Installer in Edinburgh. 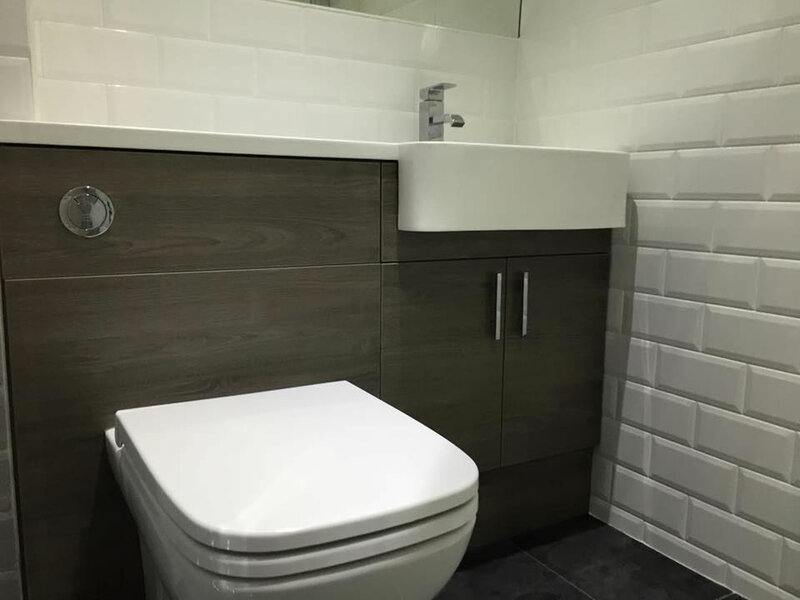 Edinburgh City Bathrooms offer a comprehensive Bathroom Installation and Refitting Service for Bathrooms, Shower or Wetrooms, Shower Enclosures, En-Suite Bathrooms and Utility/Cloakrooms in and around the Edinburgh area. Our services includes all the skills needed for completion of your project such as Plumbing, Tiling, Electrics, Plastering, Painting and Joinery to complete the design and refit of your new Bathroom,Wetroom,Toilet or Kitchen..
We are also able to undertake all aspects of floor and wall tiling covering the full range of tile types and materials including natural stone tiles to which we are a specialist provider and installer. Edinburgh City Bathrooms are the complete Bathroom design, installation and refiting service with the highest reliability and quality of finish. Finding trustworthy tradesmen to install and fit your bathroom can be very difficult. We offer a reliable service to all, regardless of how big or small the job may be. We are fully insured and CRB checked for your complete peace of mind. To arrange your FREE no obligation Bathroom Installation estimate why not call John on 07966 267421, or email us at john@edinburghcitybathrooms.co.uk we will be happy to hear from you. I can honestly say that my past experiences of plumbers have been a nightmare. They don't turn up on time, or they don't turn up at all. They charge the earth and are miserable as well! I was pleasantly surprised with City Tiling. They arrived on time, were friendly and did what they said they would, my advice - make them your first call when you need a plumber or tiler. Just a short note to thank you for the excellent job that you did on my kitchen tiles. Please do not hesitate to use me for a reference in the future. It is so refreshing to find someone who takes as much pride in their work as you obviously do. City Tiling were able to turn around our project within 3 weeks from instruction. The work was carried out diligently, workmanship was excellent and all surrounding areas were protected and kept clean. John was able to carry out the work whilst a busy household continued to use areas around him, even with inquisitive interruptions from a resident 8 year old! We are delighted with our new bathroom. John tackled a really tricky kitchen tiling job for us. I was impressed with the attention to detail and overall finish, as well as the kitchen being left clean and tidy at the end of each day. Visitors have commented on how nice it now looks. I wouldn't hesitate to recommend his services to others..
Just a word of thanks for the excellent work you undertook on our bathroom. The bathroom now looks like it is out of a show home and my partner Robert is chuffed with the finished product. Thank you once again for an excellent job.